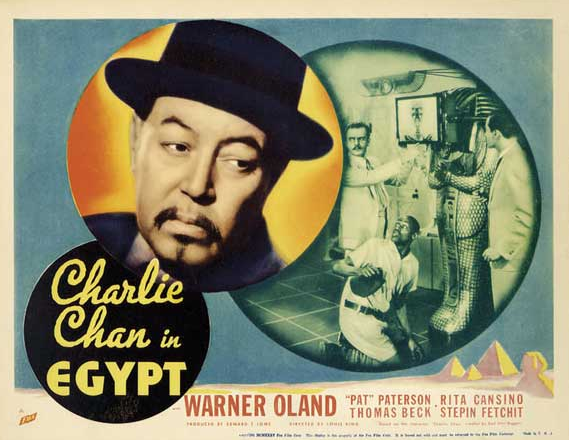 I recently watched Charlie Chan in Egypt for the first time in many years. It is simultaneously good and campy. It features an Egyptian dude who calls everyone “effendi,” the fortune cookie wisdom of Warner Oland as Charlie Chan and the antics of Lincoln Perry aka Stepin Fetchit. The story is swell but every time Oland and Perry were onscreen together I started riffing about duelling ethnic stereotypes: the positive versus the negative. I suspect you can figure our which is which.